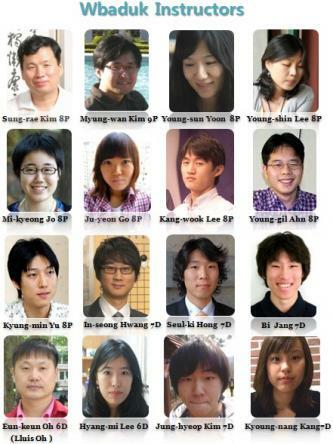 Our expert YesWeKant posted here about free teaching games with korean professionals on Wbaduk. I just played a game against Kang Wook Lee 8p in one of his simultaneous games. It was great and I'd like to share with everyone how to join these teaching games with korean professionals. 1. Register on www.wbaduk.com and download their client. 5. The teacher makes a room and in the lobby chat there will be a link to enter his room, click on it. 6. Once you are in the room, click on teacher's name and request game. 7. Choose preferable handicap and time settings. Bingo! Today I played at 10:00 Am korean time, there were 3 simultaneous games. So as not many people aware of such opportunity you can easily have a game. Time limit was 20 min, 3x30 sec byo yomi. 7 players in the room, I thought "cool, so we all get a game". Pro appears, opens up THREE simul slots, bam, full. I actually asked someone if it's always like this and he said sometimes the teachers only give 2 slots even Oo. Very funny, I hope the pro wasnt totally exhausted after playing that 18k in the third slot.. thanks for wasting my time^^. Those games are very interesting, I would just wish there are some short reviews after the games. I wanted to know till when it would exist this option.